Simple Dresden Plate blocks made using the EZ wedge ruler make these simple blocks. 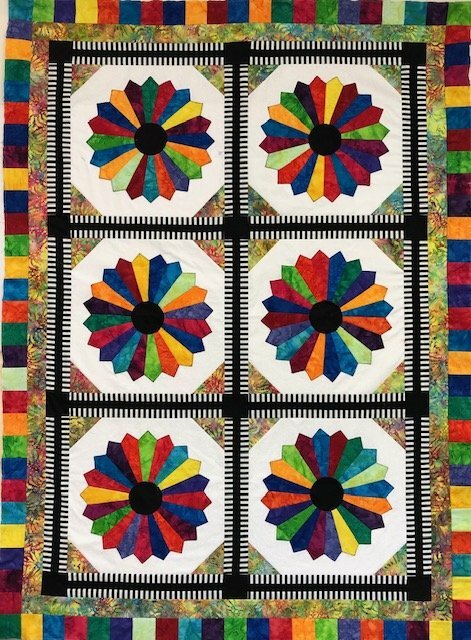 The shop sample is made with Jacqueline de Jonge's "Be Colorful" strips and one of her multicolored coordinates. Triple sashing with dramatic black and white stripes complete the striking quilt. You can choose bright, bold colors as well or make yours with more traditional fabrics for a cozy look.